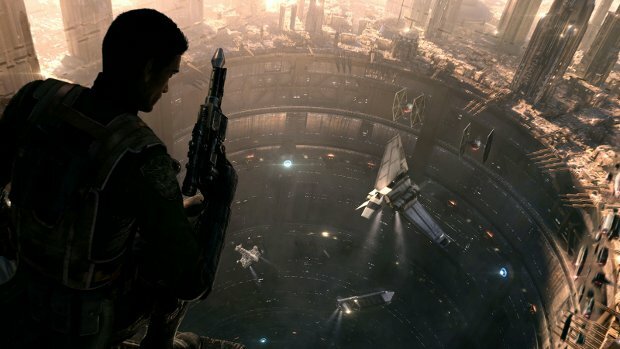 A new Star Wars third-person action game has been officially announced, called Star Wars 1313, and they are going after a mature audience with this one. I hope that means a complex and intelligent story, and not love scenes with Jabba the Hut. Players will get to run around the Star Wars universe as a not-yet-named bounty hunter. If that doesn't get you interested in this game then god help you. Star Wars 1313 is being created by LucasArts and all of their sub groups like Lucasfilm, Industrial Light & Magic, and Skywalker Sound. It's sounds like it's off to a good start, but we'll learn more at E3. Hopefully it's all about Boba Fett and it plays like Battlefront.